Security Memetics: Who Wants To See Their Money Go On A Camping Trip? Who Wants To See Their Money Go On A Camping Trip? 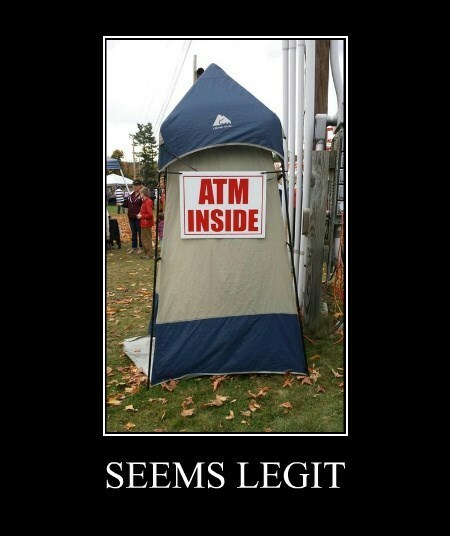 Thanks to Steven Maske for tweeting an image of a very suspicious looking ATM enclosure. Not only is it not securely embedded in a building like you see in banks, but it's not even clear who's responsible for it (ATMs in convenience stores may not be securely fastened to anything but at least you know who's responsible for them if something goes wrong).